It is one of the National Parks of Ethiopia. Located in the Oromia Region 200 kilometers south of the capital city Addis Ababa to the east of the Ziway- Shashamene highway, it contains 887 square kilometers including the Rift Valley lakes of Abijatta and Shalla. The two lakes are separated by three kilometers of hilly land. Although its intent was to protect wildlife, few wild animals can be viewed there. One Nyala and several ostriches were kept in a fenced enclosure near the gate house, but outside of this enclosure no grass longer than an inch was observed. There were, nevertheless, quite a few bird species in evidence. Park personnel said the national government was working on a plan to resettle the nomads that live inside the park somewhere outside the park. 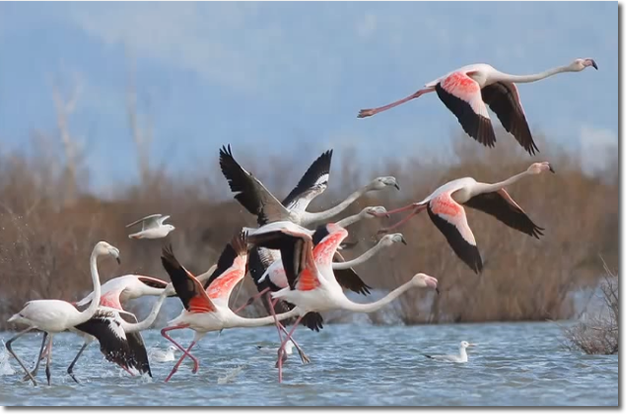 Besides the two lakes, the primary attraction of this national park are a number of hot springs on the northeast corner of Lake Abijatta, and large numbers of flamingoes on the lake. Care must be exercised in driving vehicles out to the edge of this lake, as the thin crust of dried mud on the surface can give way without warning.